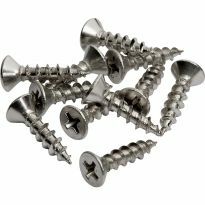 These zinc-plated pocket screws are an excellent choice for all-around indoor pocket hole construction. The washer head design provides maximum bearing surface, and prevents the head from driving through the pocket. 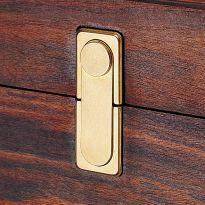 It also ensures that the screw will seat neatly in the bottom of the hole. The auger points drive in easily with minimal splitting, while the zinc finish reduces friction and provides corrosion resistance. Coarse thread for excellent performance with softwoods. 1", 1-1/2", 1-1/4", 2", 2-1/2", 2-1/4"
Luv em! Some of the best wood screws around. The Kreg #8 Coarse Thread Washer Head Pocket Hole Screws work great on pine wood project. Try the screws they work!!! I am new to the Kreg System until I bought a Kreg K%,I love it! cannot believe how sturdy this system makes my projects. I had to buy more because I've been using these for things other than pocket holes. They're a great size and go in well. Work great for my use. Seem to be hard to find when i need them. Will take a while to use all these. Putting a lot of face frames together you want something that will pull your boards together and not pop the head off. I purchased these to add to my inventory of ones I have used and liked. I had some commercial shelf supports I wanted to mount against the walls of my garage. 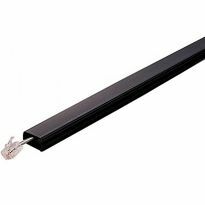 The supports were made of hollow rectangular steel. I drilled a hole completely through them, then a larger hole on the outside for the head to go through. To reinforce them further I then tied a thread to a washer, dropped that down the tube and ran the screw through the washer. I have hundreds of pounds of weight on each shelf. Very sturdy. Love doing pocket holes when needed! Kreg stuff always seems to work well! I bought them because I have used them before and they do a beautiful job. 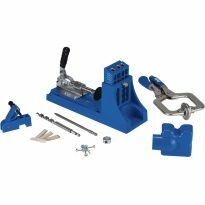 The system is easy to use and does an outstanding job and the screws make the joints flawless. I am in the process of building numerous large cabinets for my shop and have ordered and received a box of 1200 screws. Additionally, some of my cabinets are already mounted on the wall and are absolutely rock solid. 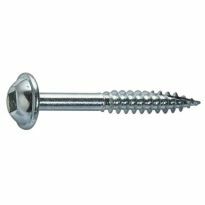 This screw is among the many options that Kreg offers. 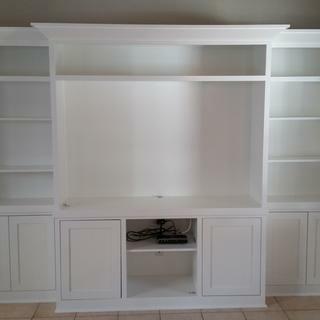 With their assortment I can build furniture that looks as good or better than store bought. Fantastic system. 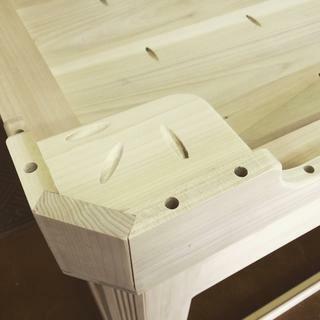 A very simple item but well made and the finish is a bonus for those of us who have shops in humid climates. I found these screws to be the best out there for woodworking.. I would definitely recommend. Kreg screws with washer head. 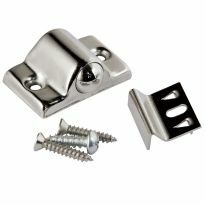 Screws have amazing holding power and the washers at the head do not allow the screws to pull through the pocket hole. Cannot get better. These are the best to use as far as I am concerned. use them for everyday use in the garage. I like them!! I have tried other brands over the years they are ok but these have a much better holding power. I buy them by the thousands I make furniture for over 40+ years. You will not be disappointed in this product. I use a lot of Kreg 1-1/4 and 1-1/2 inch course and fine (square drive) pocket screws. Using them for pocket hole joints is obvious. I fine them excellent for joining two boards of the same specie by drilling a pilot hole in top piece only. They really pull the two pieces together even when they are not held with a clamp. I love all of Kreg products. Everything works together so perfectly . I will continue to purchase all of Kreg screws for all of my projects. The Kreg® Coarse Maxi-Loc- Square Drive-Washer Head- Pocket Hole Screws-#8 Screws are a quality product. Do not change a thing. I used kreg maxi-loc with the combination of biscuits to put together a table made of old wood from a building. The table was 4' x 7' and the lumber was all 2" x varied widths. the edges were left natural. I knew that the biscuits alone would not hold the pieces together but with the maxi-loc the table has not moved at all. The pocket holes on the bottom were filled an the table looks terrific. The Kreg system is great. I build a lot of heavy tables and benches in my shop and these are the only screws I'll use. I've yet to find any screws that will hold as well! The coarse threaded screws were pretty aggresive in plywood. I liked the fine threaded screws better for the project that I was working on. I had a little more control over the compression developed by the screws. Never fear though, the course threaded screws will get used in due time. In a nut shell, the screws are great. I bought the KREG 1 1/4&quot; and 1 1/2&quot; coarse thread screws for a bookshelf project made with poplar. I had used all my regular supply. These screws work great because of the washer head. Solid gripping power and the pieces don't require clamps on glue-up. This is one of the strongest wood joints you can make. I have the Kreg Screw K2 Master system. These screws are a must for face frame construction of cabinets. Use coarse thread screws for soft wood and fine thread screws for hard wood. Use coarse thread for joining plywood. I like these Kreg screws, but wish they were stainless steel. I like the washer head because it doesn't pull through the wood as easily as other screws. They are on every project I do. Great screw for putting up peg board. These screws are great! I use them for everything. Very rarely do you find Kreg products on sale! Had to take advantage of this!! I like the washer-heads, and this is for plywood joining. The washer-head screws prevent over-driving in softer woods like pine (as opposed to the pan-head type screws). Have used these and depleted my supply. i was out and needed more. I have a few projects requiring a 1-1/2" screw instead of the standard 1-1/4". This screw has been specifically engineered for it's ability to handle the loads and torque & weight that coupled with the correct drill index gives incredible load strength, but also fit & finish that is beyond comparison by any other competitor. Slickest way to construct cabinet boxes I know of! I need 2 1/2 pocket hole screws apparently they are not made? BEST ANSWER: The Kreg chart calls for 2 1/2in screws for 1.5 thickness material (ie, 2-by stock). I used 2 1/2 drywall/deck screws in this application recently and they worked fine. 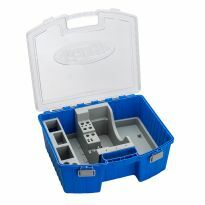 Kreg also makes a jig drill bit for flat head (ie., drywall) screws that can be used in any of their jigs. I highly recommend getting one. I was able to purchase 2-1/2" pocket hole screws on line recently. Was looking for 2" but could not find them. I just bought some two days ago at Rockler - you might try them. I agree you can find them online too. They do make them 2 1/2 inches long. I have a box of them. I got them online. Keep looking! BEST ANSWER: No. Option not available when I ordered. You may treat them with a kit. (Like a bluing kit for hunting accessories). Some heat bolts with torch and drop in motor oil, Some treat with vinegar and steel wool-let sit in jar a few days. Will then wipe off rust etc...some use a product called Novacan Black Patina. Google it. The Kreg Screws come in Blue and Silver. Do these come in a bag, or the reusable plastic container like you find in a store? These screws will come in a plastic container. It's been about a year since I purchase but as i recall they come in the plastic container found in the store. They come in the plastic container. They come in a bag. Can you use these screws for non-Kreg projects/fastening -- ie, just general/basic/amateur wood-joinery? BEST ANSWER: Yes, you can use these screws for other project besides pocket holes. 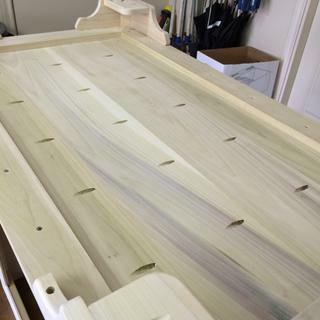 We have customers that purchase them and do not even own a pocket hole jig. 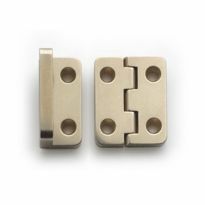 While the screws are designed for pocket hole joinery, you can use them for many wood joinery applications. which screw is best for todays treated lumber? BEST ANSWER: Hello Gary. If you are going to use our screws I would recommend using the Blu-Kote or Stainless Steel screws we offer in a course thread. Both of these will hold up in the pressure treated lumber manufactured today. Thanks, Josh. Depends on use and thickness of lumber. For decks and other outdoor projects I would recommend a coarse thread polymer coated hex head screw. Gary, I use several different screws depending on the material, thickness and density. I use #6 and #8 for most of my work. Do they come in stainless steal? BEST ANSWER: Not sure,but I'd imagine they do,for wet/damp projects used outside. We do have the #8 Coarse Stainless Steel Screw either in a 1 1/4(SML-C125S5-100) and 1 1/2(SML-C150S5-100). Do you have or know of a collated screw like part number #: 35387? 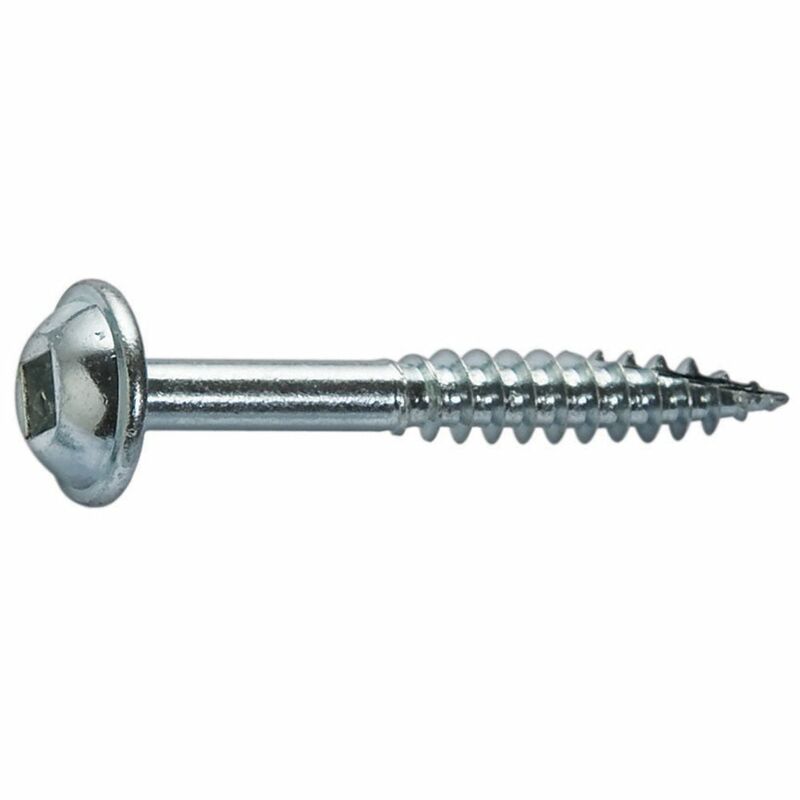 We do not have any collated screws similar to that style of screw.